Radisson Hospitality has announced the introduction of its Radisson and Park Inn by Radisson brands to Lagos, Nigeria, with the opening of two new hotels: the Radisson Hotel Lagos, Ikeja and the Park Inn by Radisson Serviced Apartments Lagos, Victoria Island. The hotel features 94 rooms that include standard and deluxe rooms, as well as spacious suites. The hotel has a restaurant serving locally inspired cuisine, a bar and a pool terrace. There are also three meeting rooms, a business centre, a special lounge for airline crew, a gym and swimming pool. Located in Ikeja, the capital of the Lagos State, the hotel is situated on Mobolaji Anthony Highway, the main highway linking Ikeja with the rest of Lagos. The international airport, which accounts for 50% of all air traffic in Nigeria is located 1km from the hotel. Also making its debut in Lagos is the fast-growing upper midscale brand, Park Inn by Radisson – opening serviced apartments on Victoria Island, the exclusive address to Lagos’ financial district. 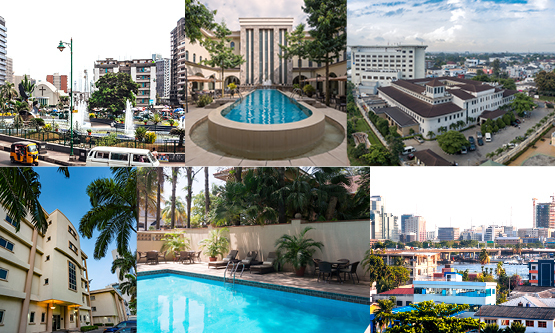 Located just off Adetokunbo Ademola Street, the main boulevard within Victoria Island, the hotel features 55 contemporary hotel apartments – offering views of the pool, waterfront or lively business district. The hotel offers an international menu at Avalon Brasserie and an outdoor terrace for some al fresco dining. Guests can also enjoy refreshments at the hotel bar or small bites by the pool. Other facilities include a gym and a swimming pool, while the meeting and events space consists of two modern conference rooms and a boardroom – boasting a total capacity of 112 people. Previous articleWhat does the future hold for SAA?